The Kasubi Shrine is one of the finest examples of traditional grass architecture in Uganda. It was originally the palace of the Bugandan King Mutesa I. When he died in 1884, it became his mausoleum, and his three successors were also buried there. 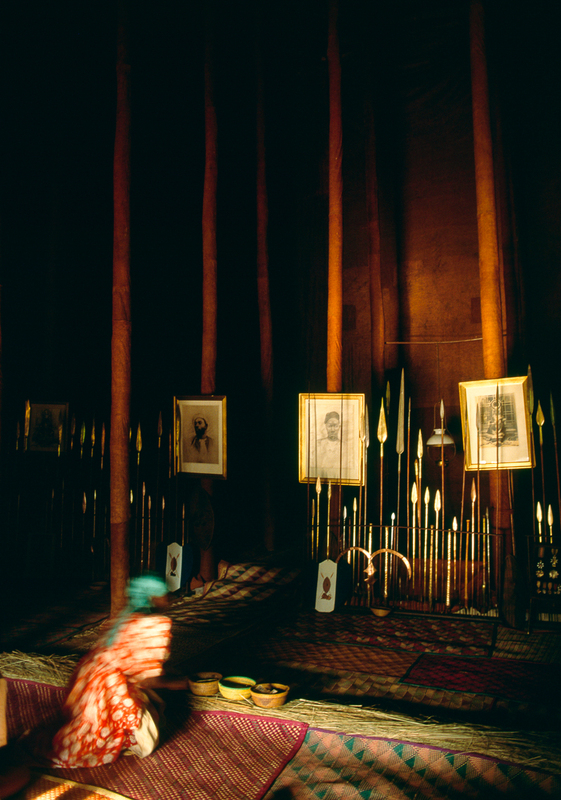 The front half of the shrine features the portraits of the last four kings, behind a dividing line of spears that separates the worlds of the living and the dead.